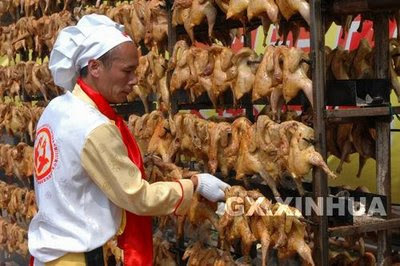 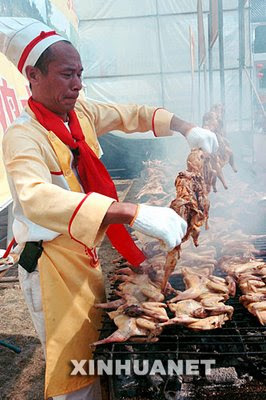 A Chinese chef shows his baked chickens at the 17th China’s Chef Festival & 2007 Nanning-ASEAN International Tourism and Food Festival, which kicked off on October 19, 2007. 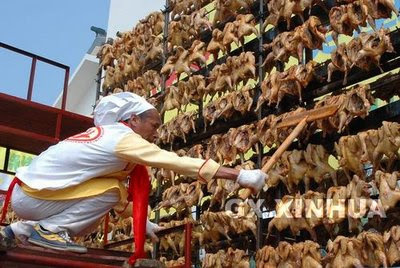 A Chinese chef staged a stunning show by baking a total of 2,008 chickens in 100 minutes in a move to welcome the 2008 Beijing Olympics, official website Xinhuanet reports. 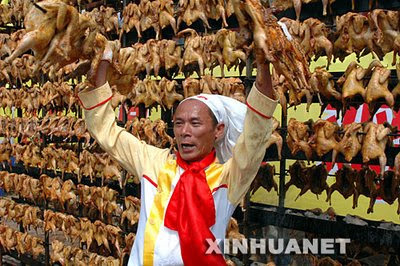 The performance was staged at the 17th China’s Chef Festival & 2007 Nanning-ASEAN International Tourism and Food Festival. 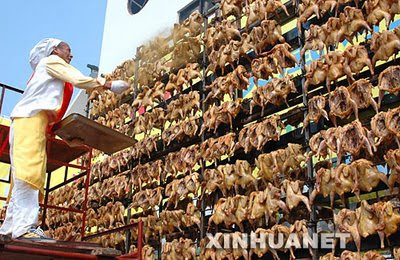 The performance is also expected to challenge the Guinness World Record. 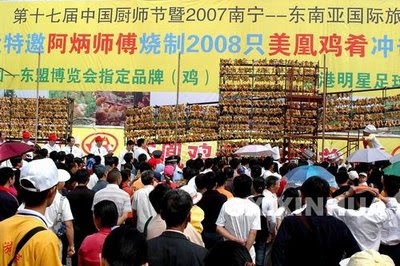 The 13-day-event that kicked off on Friday at southwestern Chinese city of Nanning is estimated to attract 500 thousand locals.